Dr. David Bernhardt specializes in primary care sports medicine. He is board certified in pediatrics and fellowship trained in primary care sports medicine. 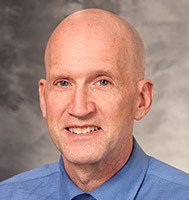 He is a team physician for the University of Wisconsin Athletic Department. In this role, he provides medical coverage for Badger men’s basketball, cross country and track, as well as women’s volleyball, crew, cross country and track. His special interests include medical and muscoleskeletal problems in athletes along with obesity and sports medicine.